Ah yes, the Baptists at the Council of Nicea. Sound rather silly? It certainly does. And yet, there are those who claim the Church of Nicea was more Protestant in belief and practice than Catholic. I recently read an article in The Christian Research Journal, written by a Reformed Baptist apologist, who argued this very point. No, I’m not making this up. 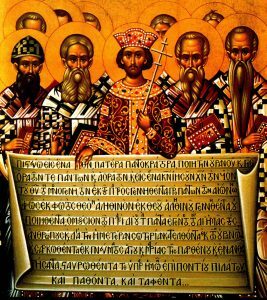 The article, “What Really Happened at Nicea?” actually claimed the Fathers of the Council were essentially Evangelical Protestants. As a trained patristics scholar, I always feel a great deal of sadness and frustration when I encounter shoddy historical “scholarship,” whether it be in the pages of The Watchtower, a digest of Mormon “archaeology,” or a popular and usually well-produced Evangelical Protestant apologetics journal. But this article was so error-laden, so amateurishly “researched,” and so filled with historical and theological fallacies, that I simply couldn’t let it stand without response. All the classical Protestant confessions of faith expressing the beliefs of the various Reformation branches include the doctrinal proclamations of the ancient Catholic Council of Nicea, whereby Christ is professed to be “of one essence” with the Father. The original Lutheran Augsburg Confession of 1531, for example, and the later Formula of Concord of 1576-1584, each begin with the mention of the doctrine of the Nicene Council. Calvin’s French Confession of Faith of 1559 states, “And we confess that which has been established by the ancient councils, and we detest all sects and heresies which were rejected by the holy doctors, such as St. Hilary, St. Athanasius, St. Ambrose and St. Cyril.” The Scotch Confession of 1560 deals with general councils in its 20th chapter. The Thirty-nine Articles of the Church of England, both the original of 1562-1571 and the American version of 1801, explicitly accept the Nicene Creed in article 7. Even when the particular Protestant confessional formula does not mention the Nicene Council or its creed, its doctrine is nonetheless always asserted, as, for example, in the Calvinist Scotch Confession just mentioned, or in the Presbyterian Westminster Confession of 1647. At first glance, this all seems rather odd to the Catholic reader. After all, every branch of Protestantism professes the absolute and sole sufficiency of Sacred Scripture for establishing the fundamental points of doctrine. Why, then, do these various Protestant confessions bother to bring up the early councils (or any councils) when establishing their core teachings? For Steve Ray’s Article: The Trail of Blood, Baptist Successionism. And did not Athanasius seek refuge in Rome under the protection of the Pope when he was forced, by the Arians, to flee from his city? And another thought regarding Constantine the emperor. Although Constantine is co-recognized as calling the Council of Nicea, he did not fully accept Christianity until his death bed. 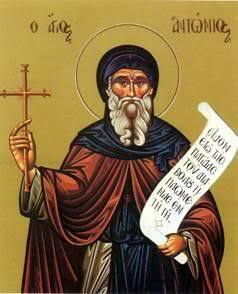 He was baptized by his cousin who was an Arian, Eusebeios of Nicomedia. One can also explain the same set of data as follows: “The Protestant belief has traces of Catholic Faith in it.” NOT the other way around. Clearly the Baptist author was a very confused man. Th council of Nicea was called to deal with a heresy against the Catholic faith. 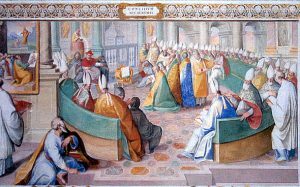 We have many writings before this time, like the Apostolic Fathers, and many, many more who clearly espoused Catholic doctrine on the sacraments, the hierarchical structure of the Church, etc. Why weren’t they condemned along with Arius and his followers? — because the bishops at Nicea, who represented the whole Christian world, saw their faith in the Apostolic fathers and other Catholic writers in the intervening centuries. They were all Catholics, not Baptists. Previous post: First Surprising Day in Mexico!